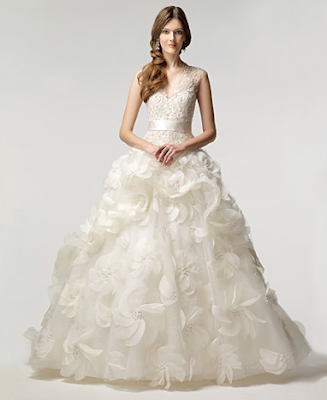 Have you seen these lovelies from Monique Lhuillier's Spring 2010 bridal collection? As always, Monique Lhuillier blends tradition with feminine design so all her princess brides with look timeless and fresh. These dresses are amazing! If only I could afford 1/4 of the dress!